Centry Street, Sheffield, South Yorkshire, United Kingdom. S9 5DX. 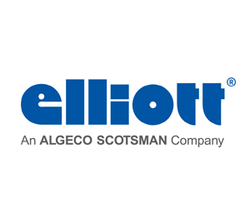 Elliott Loohire® is the UK’s largest supplier of portable toilets and regular on-site servicing covering many sectors including construction and events. Whether you need to provide portable toilets for visitors at a country show, to a large construction workforce or to a solitary remote worker, Elliott Loohire® can help. With the largest fleet of portable toilet units (sometimes referred to as chemical toilets or chemiloos) and over 25 years of experience in this field, our specialist team are the UK's market leader for portable toilet hire. We are able to offer our customers the highest quality and most modern portable toilets available, and our high level of customer service means we can respond immediately to customer requirements and guarantee reliability. ﻿ Elliott, Victoria Road, Avonmouth, Bristol. BS11 9DB. Bury St Edmunds. IP31 2AR. ﻿Overend Road, Cradley Heath, Birmingham B64 7DW. ﻿ Lankro Way, Eccles, Manchester. M30 0LX. ﻿Southerby Road, East Middlesbrough Industrial Estate, Middlesborough. TS3 8BT. ﻿Morley Way, Woodston, Peterborough. PE2 7BZ. ﻿Thornbury Road, Plymouth, Devon. PL6 7PP. ﻿Plot 2, Lamson Road, Rainham, Essex. RM13 9YY. ﻿Century Street, Sheffield. S9 5DX. ﻿Site F1 & F2 East Road, Marchwood Industrial Park, Marchwood, Southampton. SO40 4BX. ﻿Crompton Road, Stevenage, Herts. SG1 2EE. ﻿Blackworth Industrial Estate, Blackworth Road, Highworth, Swindon, Wiltshire. SN6 7NA. ﻿ North Main Street, Carronshore, Falkirk, Scotland. FK2 8HZ. ﻿208 Polmadie Road, Glasgow, Scotland. G42 0PJ. ﻿ Inverurie Mills, Inverurie, Aberdeenshire, Scotland. AB51 5NR. Mid Glamorgan, Wales. CF72 9EW.